During IV Sedation medicine delivered through an intravenous injection by a Board Certified Pediatric Anesthesiologist while Dr. Cara preforms all necessary dental treatment in this one visit. There is generally no local anesthesia required, so there is no concern regarding your child chewing their lip or cheek following the appointment. We are able to take any necessary x-rays if we have been unable to get them in the past due to age or cooperation. This may result in a change in the original treatment plan given at the child’s examination visit, but can benefit the child by reducing the need for additional future procedures. 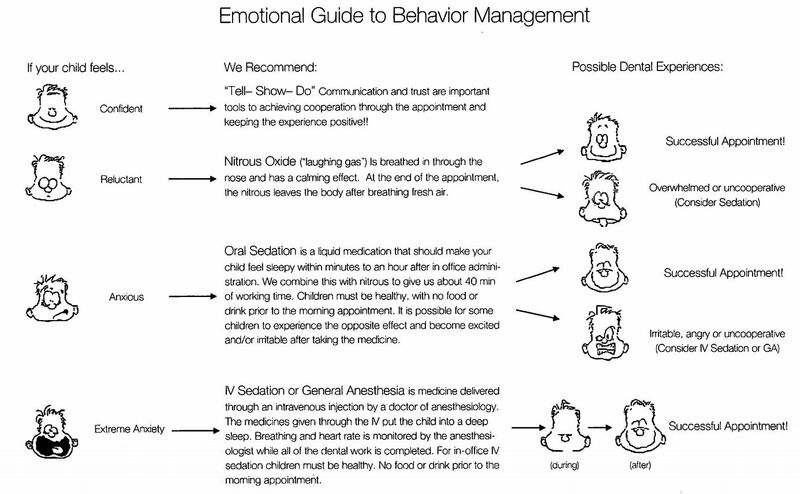 The child is given a pre-medication while sitting on his/her parent’s lap, once it takes effect, the child is moved to the dental operatory. After treatment is completed, the child wakes up with a nurse and parent in the room. They have no memory of the treatment. If x-rays could not be taken until the IV sedation appointment, the full amount of decay may not be known. If new decay is found after taking x-rays, it will need to be treated during the appointment. This may result in greater cost than previously planned. *A Pre-treatment Authorization is sent to your insurance company prior to the IV Sedation appointment.